Eggplant looks like a golf ball and is the most famous ingredient in Thai cooking. The Thai’s call it ma keua praw. Thai eggplants are a green variant of Kermit eggplants which are very large. Thai eggplant is also eaten raw with spicy dips. The Thai eggplant is very unique with a crunchy texture and a slightly bitter taste. The taste turns stronger when it matures more. In its raw form Thai eggplant is very neutral. It develops an earthy scent when cooked. Highly matured eggplants look very brown and unappetizing on the inside. Choose fresh Thai eggplants for cooking. The stems should be green and solidly attached to the eggplants. Pay careful attention to the firmness and color of the eggplants and select only the firmest and yellowish ones. 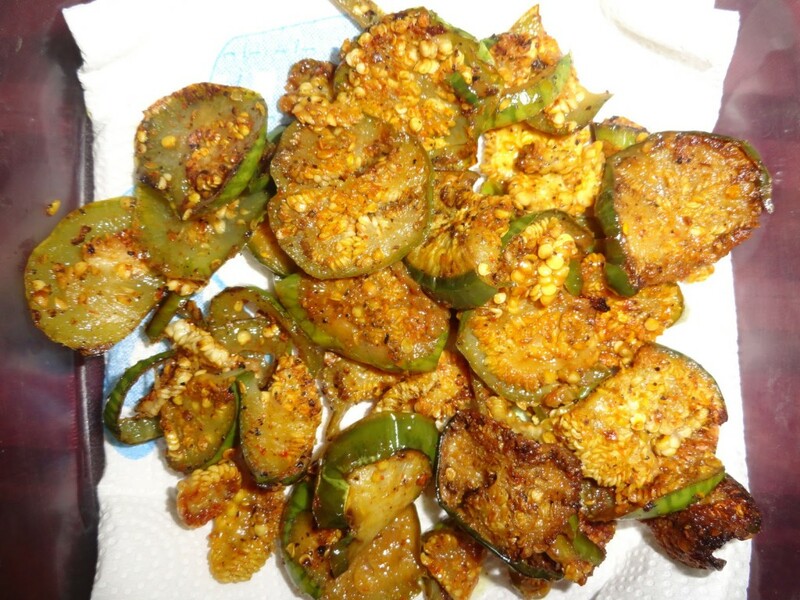 Eating raw eggplants with spicy dips is the simplest and best way to enjoy them. All you have to do for an eggplant feast is rinse; remove the stems and cut into small pieces. 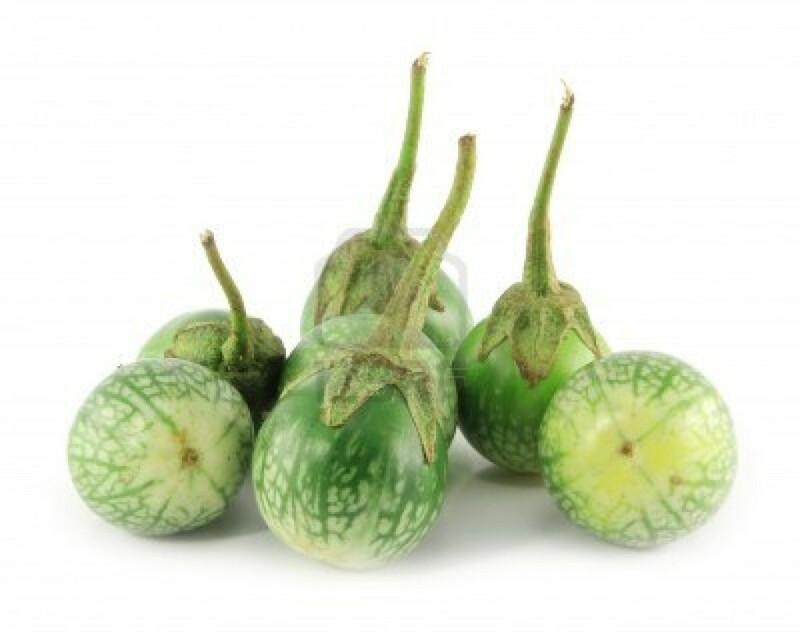 Use in Curry: Thai eggplant is a major ingredient in all green and red curries. The skin must be removed even though it lends an interesting texture to a curry. Thai eggplants have the ability to easily absorb the flavor and aroma of the other ingredients that are cooked with it. Since eggplants take time to become tender, slicing them is the best option for a quicker meal. Stir-Fried Eggplant: This is very aromatic after generous amounts of fresh garlic which also makes it healthy. It makes a terrific side dish and works with any type of eggplant. The spice level is adjustable between mild to spicy hot. 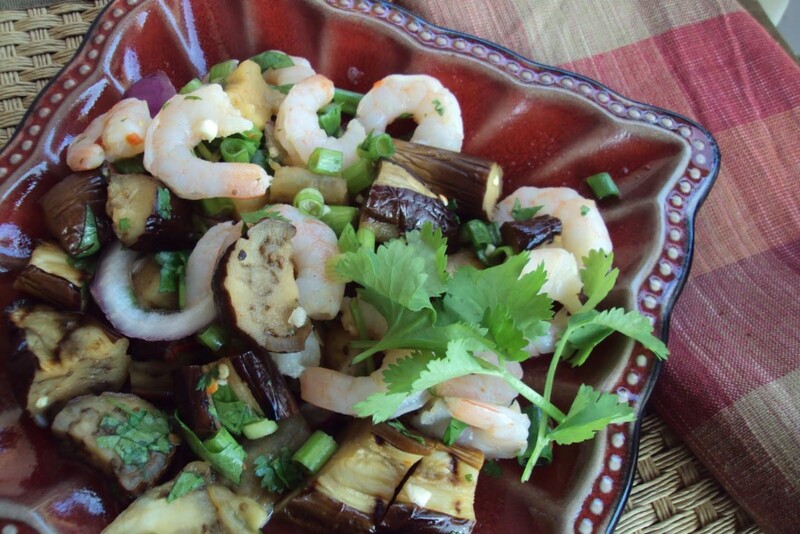 Stir-fry Dishes: Eggplants will not work well in all stir-fry dishes. When Thai eggplants are stir fried with meat and basil leaves the resulting curry paste in red or green will be great. Now start sautéing it with minced garlic. Put the eggplants into a hot skillet as soon as the meat is added and cook them until the eggplants turn tender. Add basil leaves and salt or fish sauce after a few minutes. Toss them hard so that the dish will be ready in 20 minutes. Spicy Eggplant with Sweet Basil: This is a home-cooked meal having very little fat content. Eggplants have the unique property to absorb the flavor of the dishes in which they are prepared. This is good for Thai food as they are generally sweet, salty and spicy. The eggplants, when added lend a new taste as it soaks up coconut curry sauce very well. There are innumerable health properties to Thai eggplant. It can reduce blood pressure. It also relieves symptoms of diabetes and has properties similar to insulin in terms of lowering blood sugar levels. Eggplant also lowers parasitic infections and streamlines the digestive system. So, next time when you want to dine out, make sure you eat authentic Thai food where these delicious eggplants are available. Identify the best Thai restaurant in your city and have a great dining experience.